Today is the first day of classes in my seventeenth year of teaching. I have taught a lot over those years–sometimes as much as a 5/5/1 (5 courses in Fall, 5 in Spring, and one over the summer.) My sense from that time is that the value of a philosophy course is largely not derived from excellent lectures on my part–but rather from an engaged seminar discussion. This is sometimes called “Socratic” but I happen to think that Socrates provided a terrible model for contemporary faculty. Still, I think students learn more from what they do and say and write in the classroom than from what I do, say, and write. The kind of reading, note-taking, and preparation I do to give a lecture helps me understand material deeply–and it’s precisely that kind of reading and preparation that I want my students to cultivate themselves. In that spirit, I have developed a kind of “in-class” presentation which is both how I think of my own best classes, and also allows students to easily step into the role of “guiding discussion” themselves. During the semester each student takes responsibility for a “provocation,” a written and oral project whereby they start off the class. This works best in small seminars under 15, but it can scale up to 30 with careful management. Each class period a student takes responsibility for kicking off our discussion of the reading with a short paper that briefly summarizes the argument, pulls a choice textual selection for discussion, and asks a provocative question or two, and then explains why this question meets three critera: (1) it is personally interesting to the student, (2) difficult to answer because it turns on a deep philosophical disagreement/confusion or rests on tricky empirical issues, and (3) important for directing further study and/or its answers will have implications for other relevant questions. Danielle Allen’s “The Life of a South Central Statistic” is an excerpt from her book Cuz, which describes her cousin Michael Allen who was incarcerated as an adolescent for a string of robberies and thefts. Danielle Allen describes how Michael was locked up under the then-new three strikes policy in California (which also enhanced sentencing for carjacking) and how prison changed him—and how the relationships he formed there eventually led to his murder. Though he worked as a firefighter while incarcerated his criminal record kept him from taking firefighting up as a career upon release, and he fell into the drug trade. Though she lays some blame at the feet of the California legislature for meting out such a harsh sentence, Danielle Allen also describes the violence of organized drug trafficking as a “para-state” with twice the resources of the CIA operating in American cities to exploit and kill men like her cousin. “California’s legislators had given up on the idea of rehabilitation in prison, even for juveniles. This is a point that critics of the penal system make all the time. Here is what they don’t say: legislators had also given up on retribution. Anger drives retribution. When the punishment fits the crime, retribution is achieved, and anger is sated; it softens. This is what makes it anger, not hatred, a distinction recognized by philosophers all the way back to antiquity. Retribution limits how much punishment you can impose. In the quoted paragraphs above, Danielle Allen seems to suggest that the political morality of deterrence is worse than revenge. Is the purpose of criminal punishment to prevent crime? Does this treat a person like an aggregate–a statistic–as she suggests? This fascinates me because I am tempted to believe that the only reasonable use of state violence to punish is to deter worse behavior, but such efforts are often accused of dehumanizing the perpetrator. Yet revenge seems more dehumanizing, doesn’t it? Perhaps this is difficult to answer because the manifold justifications for punishment all speak to us at different times in terms of different crimes: when we see the individual harm to a victim we are much more likely to demand the satisfaction of our anger in revenge—but when we think about the ways that a deterrence theory might prevent some crimes from even happening it seems better than having more crime and more retribution for those crimes! I wonder whether there are techniques that could be used to combine these theories: perhaps there are ways that revenge is itself deterring—for instance it signals that crimes are unacceptable. But still there is more to deterrence than renaming revenge: for instance it might be the case that some crimes are difficult to prevent, while other crimes—which cause less harm overall—can be prevented best with really graphically shameful punishments. (For instance, perhaps slumlords are best deterred by being required to stand shamefully in front of their badly maintained buildings holding a sign indicating their violations.) There’s a lot of further study warranted here—and plenty of room for both empirical assessment and more principled philosophical exploration of the related themes. Michael was technically a “violent” criminal but his victims weren’t really hurt. He was also a teenager, and perhaps less culpable than an adult in a similar situation. What should we make of his age in assessing his culpability? Michael’s lover–and murderer–was a trans woman named Bree and there are all sorts of issues raised by her time in a men’s facility in California. Should Bree have been housed with women? What would have happened to Michael then? Michael had a loving and supportive mother but her struggles with abusive partners may have contributed to his fate. Could she have done anything differently? And how do our public policies exacerbate these circumstances? Some of Michael’s difficulties upon release are closely tied to the stigmas he faced during reentry. But others are tied to the fact that he fell in love with Bree while incarcerated–they are the results of the deliberate decisions of an adult man struggling to manage social expectations, economic needs, and an obviously abusive relationship with someone who he loved helplessly. What should we make of his story? I find Allen’s discussion of the para-state endlessly fascinating and I wonder whether this is something that prison abolitionists should spend more time working on. Why does she name it a “para-state” and what should we say about the violence that arises from it? Does she partly exonerate the United States for its racist, mass incarcerating policies thereby? James Forman, Jr. won the Pulitzer Prize last week for his book Locking Up Our Own. It is well-deserved. That book–and his earlier work wrangling with Michelle Alexander’s The New Jim Crow–shows the ways that we have arrived at the wicked problem of mass incarceration through something much harder to disdain than evil scheming by distant elites. We did it to ourselves, and African-American political leaders did it with the full support of their African-American constituents. James Forman’s book is quite different. Where Murakawa places most of the blame squarely on white Democrats, Forman places his lens on Black politicians in DC, and finds a very different dynamic. From the start, the story of the rise of racialized mass incarceration is a tragic story of reasonable and well-intentioned Black leaders fighting white supremacy and Black disadvantage with reason and evidence. They made deliberate choices that were well-justified and supported by their constituents. And incrementally, they made things worse. DC’s leaders saw drugs like heroin as a scourge and heroin dealers as race traitors. They saw violent crime rising, and guns playing a major role. And they wanted Black police–because those were good jobs and because Black police officers wouldn’t be tempted to engage in racist practices. So they punished drug dealers and ultimately drug users. They punished violent crime and gun possession. And they did it with a Black-led and majority-Black police force. But still they ended up creating a majority Black prison population in our (I live in DC too) Black-led and Black-staffed prisons and jails. Forman does the hardest thing in criminology and law: he adopts the stereoscopic vision that can see both from the perspective of those who fear crime and those who bear the costs of policing and prisons. * Black District residents know what it’s like to fear that their family and neighbors will fall into drug addiction or be the victims of gun crime. They also know what it’s like to fear that their family and neighbors will be terrorized by the police or have their lives derailed by imprisonment. And Forman is able to square those stories: see the victim’s fear and rage with one eye and the perpetrator’s circumstances and his community’s losses with the other. Alone, either perspective gives a flat, two-dimensional image, but together you get depth: three-dimensions of a wicked problem where values are always at stake but a way forward is possible. The difference between Forman and Murakawa is that where Forman wants to tell a careful story about wicked problems and their double-binds, Murakawa seems to want to show up liberals (including Black liberal elites) as self-undermining and doomed to failure. This is Afropessimism at its best and worst: any efforts at racial equity are perverse and doomed to failure. I find such arguments deeply challenging when they come from non-white authors, which is why it’s important to me to think seriously about what a perversity argument is doing. A perversity argument is any argument that claims that when we try to do a thing we believe is important, we will fail and make it worse, falling further behind as we try to move ahead. The actual use of perversity and unintended consequences arguments are often justified by some of the available evidence, as well as some of the speculative hypotheses: try to make someone love you and they will feel manipulated; create a minimum wage to help the poor and you’ll increase unemployment; try to reform the criminal justice system and you’ll just make it stronger and more pervasive; tell someone they’re wrong and they’ll sink even deeper into their error; try to engage in affirmative action to reverse racial discrimination and you’ll entrench stereotypes of inferiority. Indeed, perversity arguments are appealing not only to reactionaries and the left-of-liberal left but to academics, irregardless of ideology. As Hirschman says, a perversity argument “is, at first blush, a daring intellectual maneuver. The structure of the argument is admirably simple, whereas the claim being made is rather extreme.” Perversity arguments are counter-intuitive, attention-grabbing. These are attractive characteristics for someone trying to stand out in a crowd of monographs. And sure enough, the attack on liberalism as perversely harming the disempowered has become quite fashionable in criminal justice in particular. Bill Stuntz is its most well-known (and least radical) author, but structurally similar claims have sprouted up all over, usually from the far left. These are arguments that prison conditions litigation causes an increase in incarceration, Miranda rights cause increased arrests, and so on. The claims are empirical—A caused B—but the arguments are usually a combination of ideological and hypothetical. Perversity arguments feel smart and daring. They make you feel like you’ve seen a secret truth. But they also work to disempower and disengage. They paralyze us with fear, uncertainty, and doubt. Every step in the minefield of unintended consequences and backlashes is probably doomed, so the only safe thing to do is stand still. From the perspective of perversity helping hurts, loving hates, attacking strengthens, and truth-seekers lie. Nothing is what it seems, and everything must be viewed through a hermeneutics of suspicion that ends with a kind of paralysis or status quo preference. But at the same time… sometimes everything is not what it seems. Sometimes our well-intentioned efforts do make things worse. If Forman is right, DC’s leaders were facing real crime problems in need of real solutions, and they built a tidy mass incarcerated city without ever seeking to do so. And his chapters on DC’s responses to gun violence, especially, strike me as importantly relevant to current discussions of gun control in the wake of the Parkland shootings. *Another book that manages the “stereoscopic view” well is Danielle Allen’s Cuz. It’s well-known that receiving a college degree improves life outcomes. The standard claim is that getting a Bachelor’s Degree is worth an extra million dollars in income over a person’s lifetime, but even this is hard to predict as the returns to education are increasing. In 1965, a person with a college degree only made $7,500 more per year than a person without one. This is called the college wage premium: in 2013, that college wage premium had increased to $17,500. Since it’s increasing, it’s likely that a college degree today will be worth even more than a million dollars over a lifetime. What’s more, college graduates are healthier, have lower unemployment rates and shorter periods of unemployment. They are more likely to have happy marriages and less likely to be divorced; they are less likely to be incarcerated, and even live longer. Thus it seems like a pretty good investment. But there is very little clear connection between studying Civil War history or the anthropology of upland Southeast Asia and doing the sorts of jobs that college graduates end up doing. What’s more, there’s a phenomenon called the “sheepskin effect” which shows that most of the college wage premium comes from completing school, rather than along the way. Half or even 90% of a college degree does very little to increase your income, while finishing that last course can make a big difference. Calling it “signaling” is mostly an economic exercise, but educational researchers can see it at work in different ways, all of which indicate that there is not enough emphasis on learning. Educational sociologists call it the “disengagement compact,” a bargain struck between faculty and students in which both agree: “I’ll leave you alone if you leave me alone.” Teachers agree to be entertaining and undemanding, and in exchange students agree to pay their tuition without complaint and give the faculty good teaching evaluations. Both thus have more time for other endeavors. I believe that imprisoned students do not have the luxury of the disengagement compact. 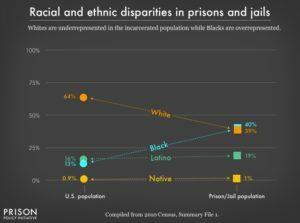 If we accept the signaling theory then a period of incarceration is a severe signal to potential employers: it is a signal that you are more likely than not to go back to prison. At best, a degree serves to distinguish some formerly incarcerated returning citizens from the rest, to deepen the prejudice against some returning citizens in favor of others. And research on college learning outcomes suggests that a liberal arts education can teach these skills so long as the classes require a lot of reading (forty pages a week), a lot of writing (twenty pages a semester), and the professor has high expectations of the students. Which is encouraging, because it means that we can break out of the merely competitive cycle. I have a theory as to why this works, that comes from the educational advocate Earl Shorris. His Clemente course in the humanities inspired Bard College’s Prison Initiative, which inspired the US Department of Education, who took a chance on us here. In his book Riches for the Poor, Shorris argues that one major factor in poverty is the stultifying character of one’s problems and environment. Shorris offers the analogy of Native American hunting practices, where hunters would encircle their prey and then move in, creating anxiety and fear that aids the hunter in capturing stunned prey. Poverty and prison both offer similar “surrounds of force” whereby individuals are beset by so many forces (“hunger, isolation, illness, landlords, police, abuse, neighbors, drugs, criminals, and racism”) that they do not know where to turn. An education in the liberal arts gives us the crucial pause we need to avoid confusion and find an escape route. The “pause” is a performative skill, like learning to fix a car or perform a surgery. Anyone could do it at any time, but learning to pause when we’re stressed is actually extremely difficult. We need to learn to reflect. And it isn’t just enough for a professor to tell you: “reflect!” Just as you can’t just tell an illiterate person, “read!” or a clumsy person who has never learned, “ride that bike! A highly rigorous and engaged liberal arts degree offers its students an opportunity to train in important meta-cognitive habits. Education is not something the teacher does to the student, it’s something the student does to himself, with the professor’s guidance. Education may just be about signaling. If so, let’s signal loud and clear how amazing you guys are! But there’s a good deal of evidence that education can be transformative, even if your professors can’t transform you, exactly. You have to transform yourself with their help. We will set out the guidelines. You will meet our (VERY HIGH) expectations. If the educational sociologists are right, this will give you an opportunity to develop the habits and skills that employers want and need. And if Shorris is right, maybe you’ll develop inner peace along the way. If you see a professor giving you too much slack, ask: does she believe in the transformative value of education? Or is he just here to collect a paycheck and hand out sheepskins? The origins of disenfranchisement as a vehicle of American punishment are likely traceable to some form of the classical notion of a “civil death.” For the Greeks, the punishment of civil death was akin to capital punishment—a complete extinguishing of the civil rights that Greeks believed constituted personhood, including suffrage, landownership, and the right to file lawsuits. English common law borrowed the Greek concept, and civil death was long viewed as a suitable punishment for felony offenses. But civil death as a formal punishment in the American colonies differed from the English system on which it was based, and from the punishments that would later evolve. Civil death was initially only adopted in America for a very small number of felonies, the most common of which were violations directly connected to voting—for example, fraud or bribery. This paralleled both an expansion of crimes considered felonies and a decoupling of felony punishment from capital punishment. The use of long-term imprisonment, instead of corporal or capital punishment, only came about in fits and starts. It doesn’t have to be that way. In Maryland, former felons are regaining their voting rights this year, and that affects some of the graduates of the JCI Prison Scholars Program! It’s pretty great. For too long, we have begun to imagine that violators of the social contract are somehow unable to participate in its revision. In a world without ungoverned spaces, it’s no longer possible to exile our trangressors into the wastes. But what we do instead is significantly more cruel: exiled to social and civil death, prisoners are meant to continue to live in our midst while occupying as little of our time and energy as possible. They’re invisible men whose future is supposed to hold no future except to be ignored. Yet the fantasies of social death are pernicious precisely because they imagine no return. The reality is that most of these men must someday rejoin the communities from which they have been exiled. People come back. What’s more, they’re never really that far away. Their lives and ours are still bound together: at the very least we still pay to keep our fellow citizens incarcerated, we still send some of our fellow citizens inside to guard and “correct” them. But it’s also worth remembering that the prison’s walls are remarkably permeable. Guards and visiting family stream in and out. Gang members inside help their outside colleagues agree to cessation of hostilities. If we were still able to punish our criminals with exile or death, it would be much easier. Instead ghosts still haunt us long after their social death. Fathers and mothers still parent their daughters and sons from within the prison’s walls. Husbands have long arguments and tender reconciliations with their wives as phone calls and letters go back and forth at great expense. And in most cases, the men and women who go off to prison must eventually shamble back from the social death we’ve wished upon them. I still don’t know if there’s room for prisons in a just society. Our vengeful impulses seem to require some sort of satisfaction, and imprisonment might just be the fairest one remaining. But I do feel confident that those prisons cannot be premised on social death any longer.